The first day of October rain is welcomed with relief by the olive farmers around here. It has been a dry summer and spring, and the olive trees need rain for the last couple of months of the year so they fatten up. So, cozy inside while the autumnal rain does its stuff, we wanted something warming to eat. 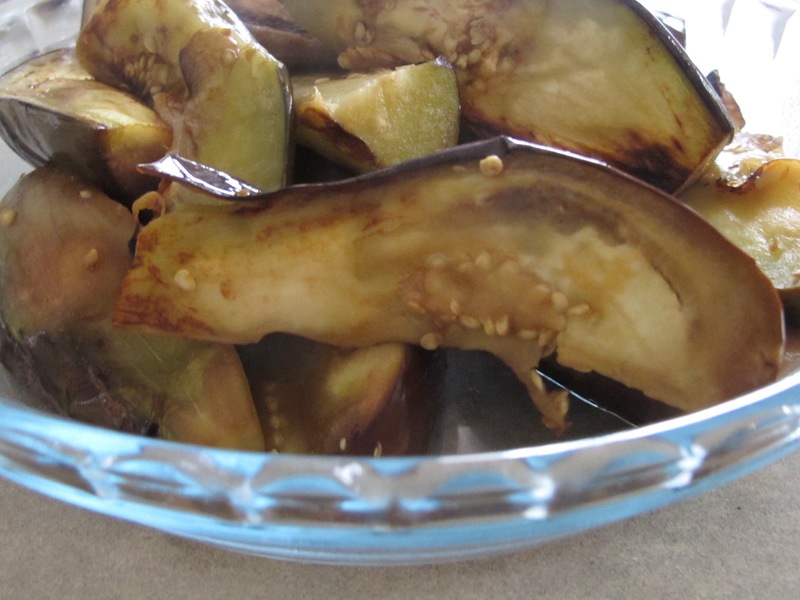 So we made good use of the bag of aubergines brought by our neighbour. 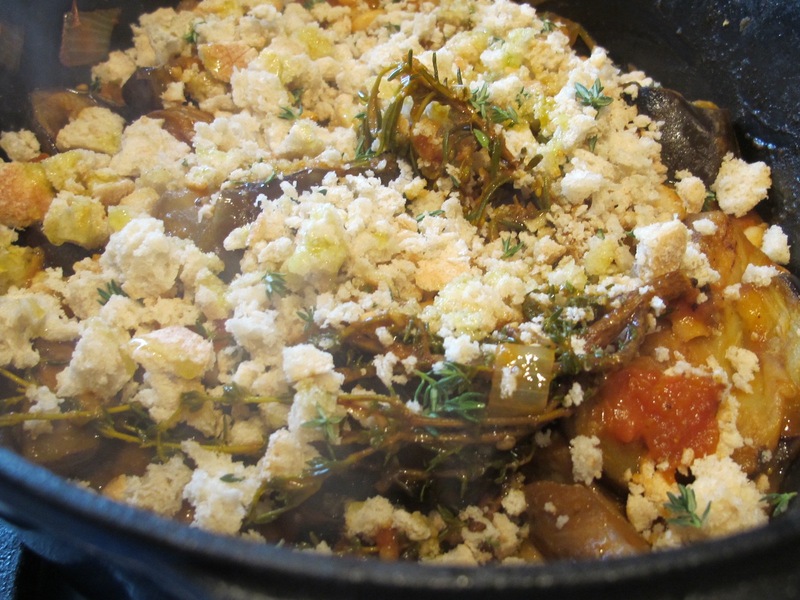 This is a vegetarian Spanish-y version of the traditional French dish cassoulet. The recipe is by Nigel Slater. It is the sort of dish to eat with a fork, serve yourself a generous helping. Pre-heat the oven to 200°C/Gas6. First prepare the aubergines. Discard the stems, slice in half lengthways, and then in half again. Warm 3-4 tbsp of oil in a deep, heavy-based casserole dish. 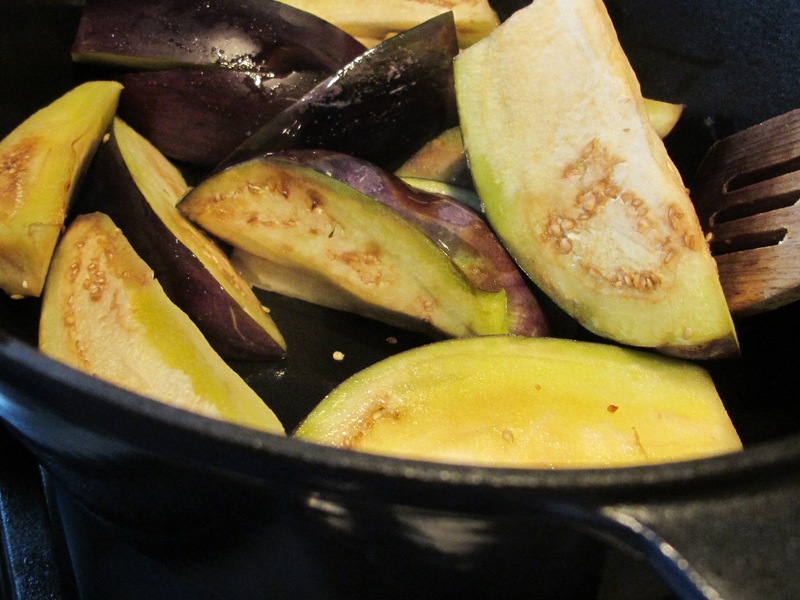 Fry the aubergines in the oil until they are soft and nicely golden on the cut sides. Remove from the casserole, and set aside. Add the onions to the same pan, add a little more oil if necessary. 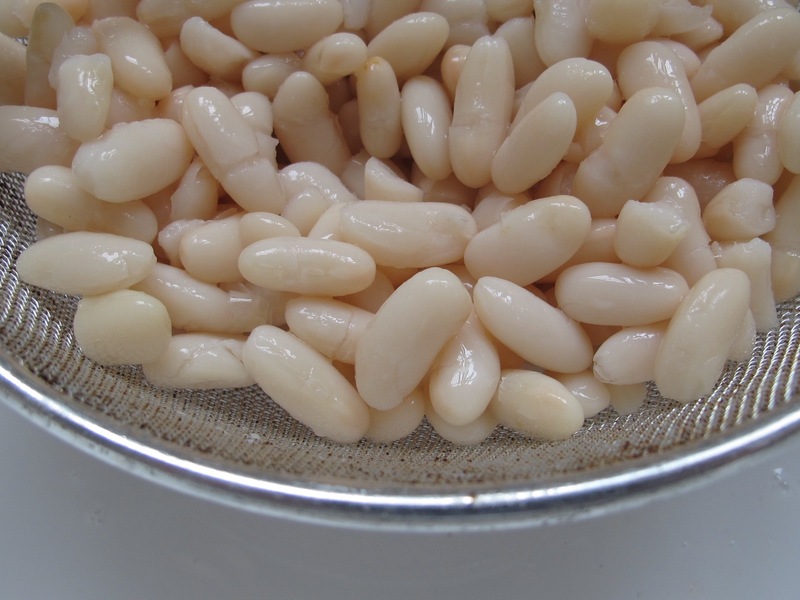 Cook gently for 10-15 minutes until soft and pale honey-coloured. 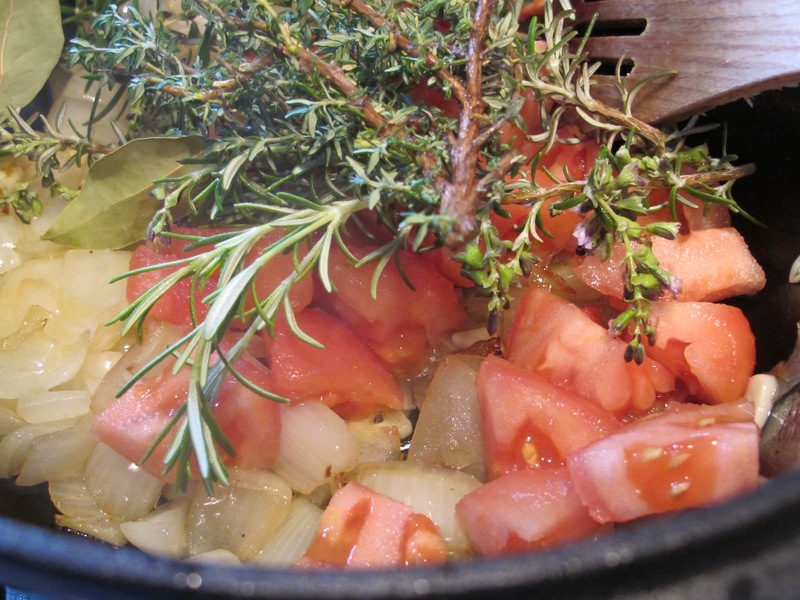 Stir in the sliced garlic.To the casserole dish, now add the tomatoes, bay leaves, whole sprigs of thyme and rosemary, and tomato puree. Stir and cook for 5 minutes. 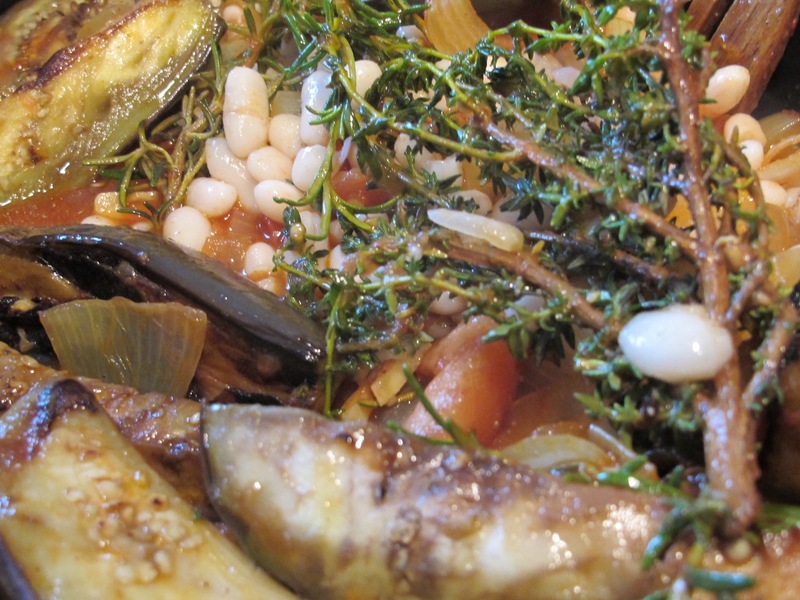 Add the haricot beans, aubergines, a seasoning of salt and black pepper, and vegetable stock. Partially cover and simmer for 10 minutes. Meanwhile prepare the crust. 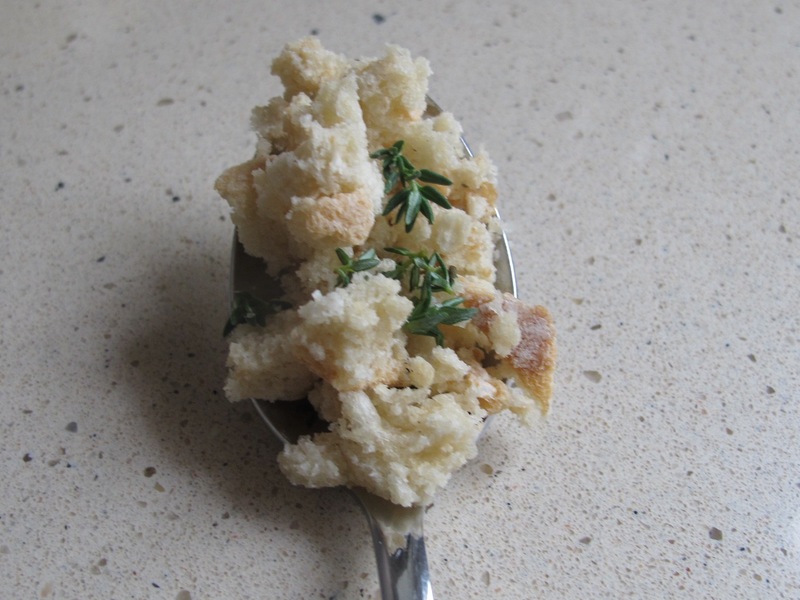 Turn the slices of crusty bread into breadcrumbs in a food processor, then stir in the thyme leaves. When the casserole is ready to go into the oven to bake, scatter the breadcrumb mixture over the top, and drizzle over a little olive oil. 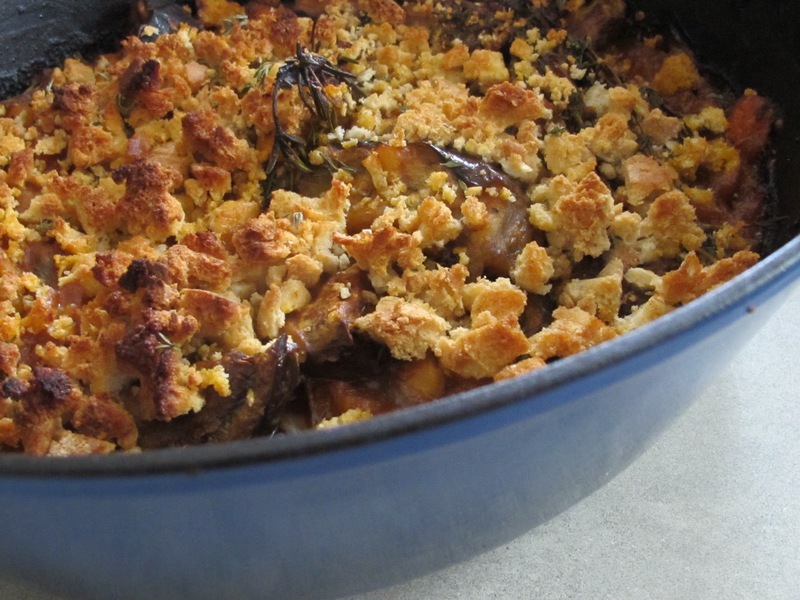 Bake in the oven for 25-30 minutes until the crust is crisp and the cassoulet is bubbling around the edges. This is delicious and has quickly become a favourite in our house. This entry was posted in A love of food and tagged Andalucia, food, recipes, Sandra Danby, Spain on October 22, 2017 by sandradan1.